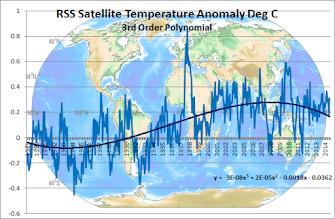 Climate Common Sense: Pot Calling Kettle Black! It is with great amusement I read a Guardian blog accusing the Register of getting their facts wrong in quoting a NASA model calculated rise of 1.64 degrees when it was actually - shock,horror- 1.68 degrees. 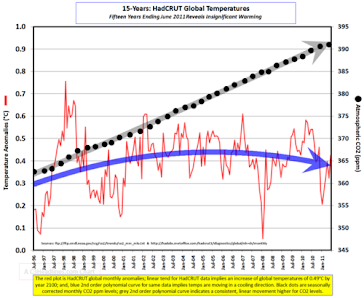 Another mistake was in not understanding that the 1.94C of warming came from a control model. The researchers weren't announcing to the world that they had just discovered the correct warming of the Earth. On the contrary, they stated that their control result was at the low end of a range of other models from 2C to 4.5C. The purpose of the control was to plug in evapotranspiration data and work out the difference. There's nothing to suggest that the control model is any more or less correct than all the other models that have been produced. In other words the Guardian writer in a rare moment of candor says he does not know if any of the models are correct but he still wishes to correct a .04 error in the Register article.